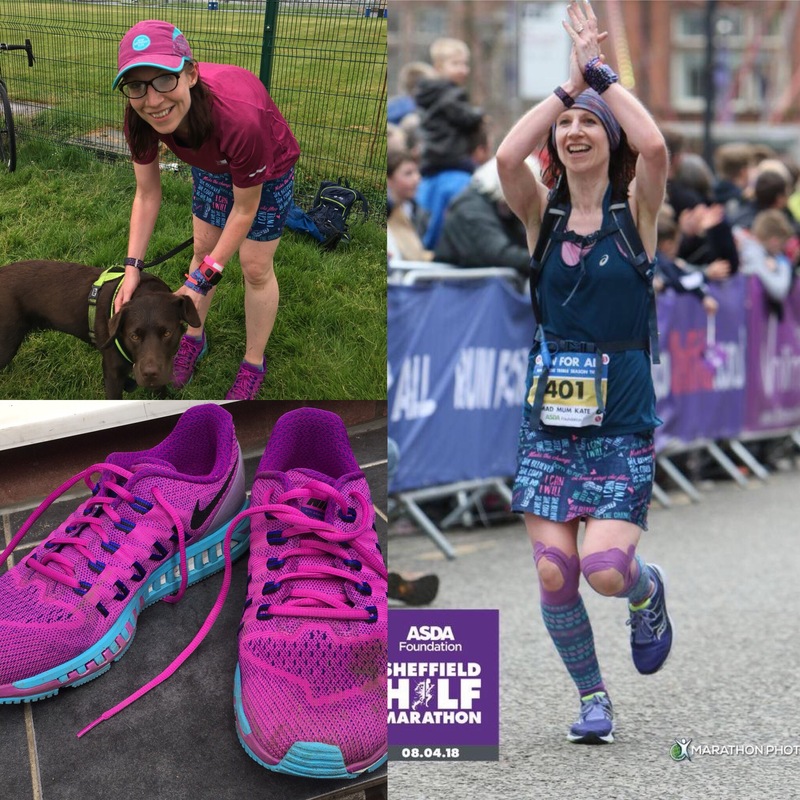 I love running kit and I’ll admit it, I put actual effort in – way more than my normal clothes. Coordinated Lycra all the way baby. But the concrete boots?! Argh!! What is with them?! And they do NOT go with anything. Stupid boots. I don’t choose to put them on. No siree. Today, for example, my footwear choice was my super pink Nike trainers. So, tell me this; how do I end up in concrete boots? These concrete boots are invisible but wow are they heavy! You can imagine how hard it is to lift my legs for each step, and climbing stairs?! To be avoided when possible. Iron. My ferritin (stored iron) is too low at 20. The GP wants me to take iron every day so I am cos I’m good like that. Great tasting?! 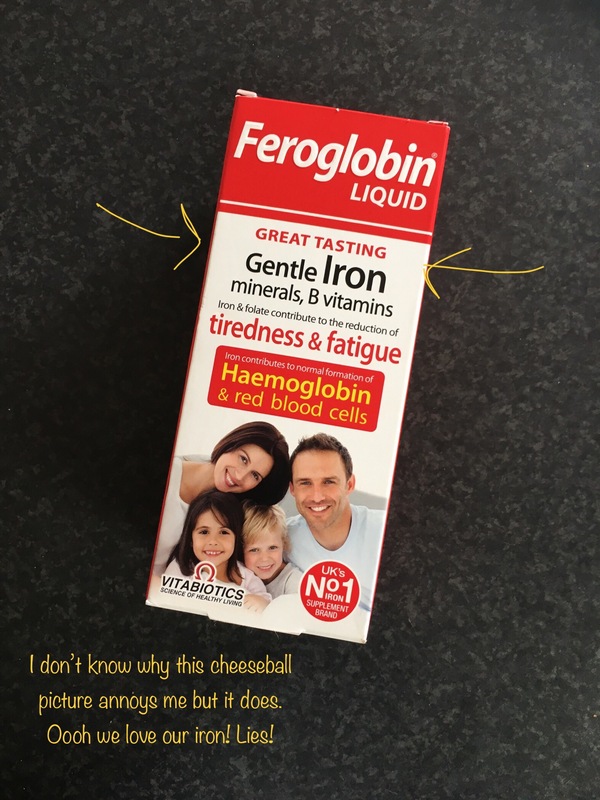 I suppose it’s all relative but you’d need to eat some real yuck stuff to proclaim iron great tasting. Vitamin D. Did you know that health advice is that all UK adults should take a vitamin D supplement? Seems like no one knows that – but I do! So I’ve been on the Vit D (was going to call it VD but that’s something else entirely!) 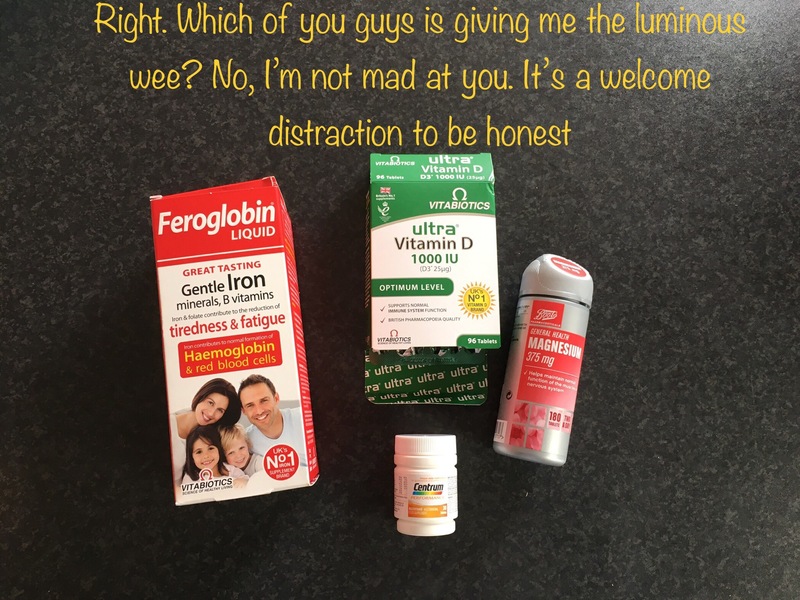 as standard already and a blood test confirms I’m vitamin D-tickety-boo. B vitamins. I have these as part of a multivitamin I take anyway. Magnesium. Nope. It’s not that. Sleep. No, I sleep quite well really thanks to my nighttime dose of Quetiapine knocking me out. Which I suppose is a good point to say no, it’s not my meds. I’ve been on my current regime for maybe a year without problems so mercifully it’s not that. Having to change meds would be a nightmare. I’d probably choose to keep the concrete boots on! Nutrition. I know that I’m eating enough because I log it using MyFitness Pal. If anything I’m overeating to compensate for the tiredness. I’ve put weight on. This bothers me a lot. I’ve been down the slippery slope to obesity before and have no desire to go back down that road. Running. Of course I know that running can be energising but running with concrete boots on? Not so much. It’s a slog. A slog jog. It’s hard to remember to be kind to myself during and after these frustrating runs but I do try. Running with people. Weirdly this makes the boots heavier so runs have to be solitary at the moment. It’s my mental health isn’t it? No. No. No. No. No. No thank you. I am more vulnerable at the moment, I know that. Life is kind of stressful, as happens sometime and is unavoidable. I largely live in a bubble (to protect myself) as it is but even my bubbleworld gets invaded with stressful stuff sometimes. Then there’s the schema therapy stuff. It’s good, it’s working but if you know anything about this trauma therapy stuff then you’ll know that before you start it you have to be prepared for things to get worse. Well, hello bad times, I’ve been expecting you. My depression and anxiety symptoms are a lot, lot worse at the moment. Managing that is exhausting. Imagine sitting a really hard maths exam – at the end of it you’re knackered but why? You’ve been sat on your bum! What do you have to be tired about? Well that’s like managing my mental health at the moment: I’m living every day life (which is stressful anyway) whilst metaphorically simultaneously doing really hard maths. S’ppose being tired is kind of obvious then. So what of my concrete boots? Well there doesn’t seem much option other than to keep going with them. When I think of it, when there’s a big race on, the dude fundraising by wearing a ridiculously heavy costume gets massive kudos. Credit: Ian Walton/ Getty 2002 London Marathon. 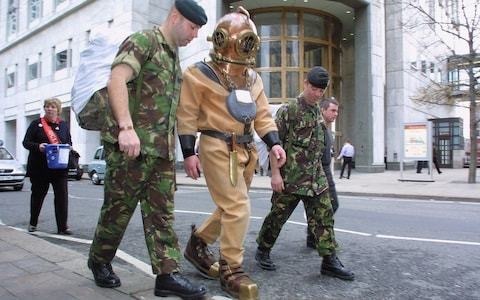 Lloyd Scott dressed as a deep sea diver. Check out the boots. That’s how I feel. Deservedly so. Well, maybe then, I can cut myself some slack. My stupidly heavy costume is invisible but I swear to you it’s there and I can’t take it off at the end of the run. 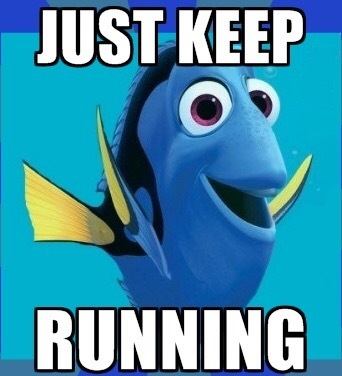 My strategy going forward then is to just keeping running, running (as Dory would advise. Always good to take life advice from a cartoon fish I find). Eventually the boots will begin to loosen, bits will crumble and fall off of them and, before I know it, I’ll be back to running in my (coordinated) footwear of choice. Because concrete goes with nothing. Sometimes being a stubborn cow is quite a useful thing. 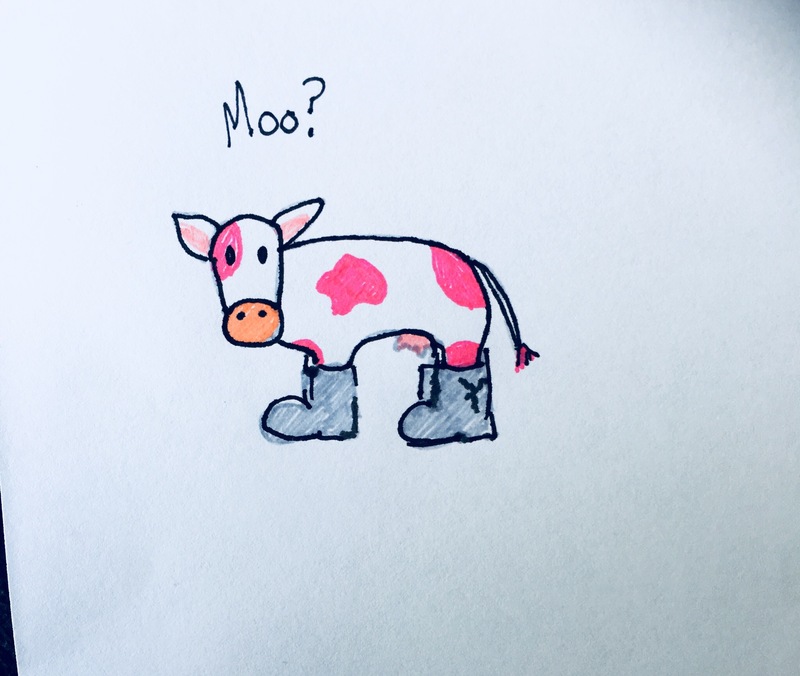 Moo. Loved reading this, I could relate to a lot of it. X Thank you for sharing.